AS WWII began, the USSR submarine fleet was the biggest in the world. It had twice the submarines as the U.S. and nearly four times as many as the Germans. But the Soviets had hurdles to overcome which prevented them from establishing supremacy on the open sea. The country had only two entrances to the ocean – the North Pole and the Far East. Neither option allowed the Soviets to set up a full naval infrastructure. That left the Black Sea and the Baltic Sea. As the war got underway, it was thought that the USSR subs would be able to attack enemy communications in those regions. The Soviet subs were no match for the Germans, though, and it was uncertain whether the largest navy in the world (the UK) was willing to engage in the war. Given this scenario, the government of the USSR decided to develop a more powerful submarine fleet. Low production costs helped the Soviets create that powerful fleet, with the ability to play an important role in the sea battles of WWII. Gennady Drozhzhin, a Russian historian, claims in his book Asy Podvodnoi Voiny (Aces of the Underwater War) that out of nine German Kriegsmarine subs that were sunk, four were sunk by the Soviets. Duels were fought underwater between the Soviets and the Germans in the Baltic and Barents Seas. The Soviets sank four subs and lost three. 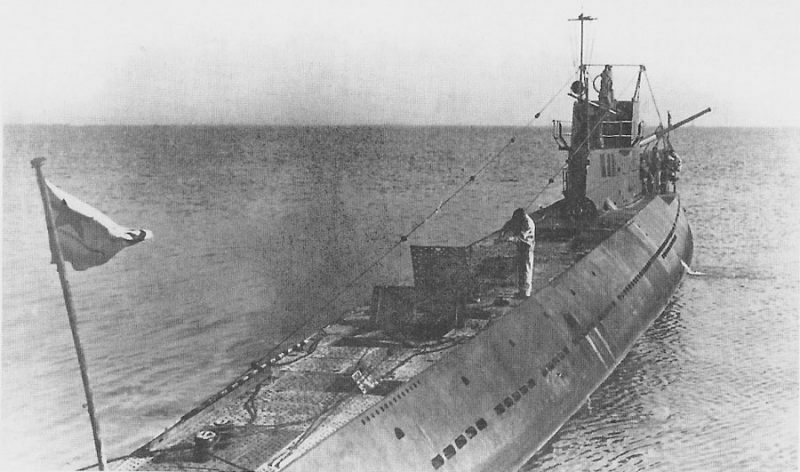 Just after the German invasion of the USSR, a German sub, U-144, sank a Soviet M-98. The U-144 was itself sunk a month and a half later by a Soviet Schuka-class submarine. Two years later, a U-639 was sunk by the Soviets while it lay mines on the surface of the Barents Sea. The Soviet Malyutka subs were not a serious weapon. Although quick and efficient and able to be transported by rail, they were uncomfortable for the crew. They were unsafe, had only one firing installation, could not submerge to a depth that would allow it to engage in underwater battle and could be broken in half by a strong storm. Still, the Matyutka became the most effective sub the Soviets had in WWII. They destroyed over 60 enemy transport ships and eight combat vessels. The crew’s training was enough to overcome the inadequacies of the vessel, allowing them to achieve impressive results. The Soviet Srednyaya (S) subs could not use all of its potential in the compact shores of the Baltic Sea. Still, it was able to achieve remarkable results. The prototypes of the S-series were German ships. The Soviets greatly altered the design to fit Soviet equipment and weapons. As an example of the effectiveness of the ship, one was attacked hundreds of times with depth charges and not damaged a single time.